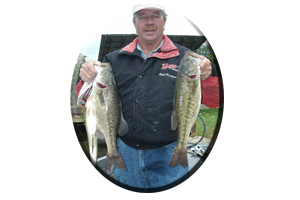 This first impoundment on the Coosa River System, situated in north Alabama, is actually not noted for its winter bass fishing attributes. But the huge sacks of bass brought in during springtime tournaments have defiantly reserved a place in the record books. The bass are there. 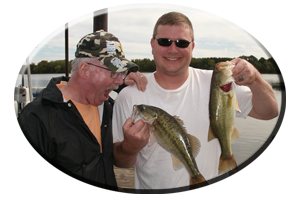 So where are these monster bass, during winter, when the mercury drops and water temperatures plummet to the low 50′s? On Weiss Lake that question is pondered by many very adept anglers. Some anglers fish Weiss Lake on a regular basis but still falter somewhat when winter arrives. The answer could lie from the mid-to-lower lake region where-like other lakes with winter drawdown-the fishing is generally better. The lake is currently down 4 feet and on Weiss this empties out to about half of the impoundment. Stretching into upper Georgia, Weiss Lake does show a lot of water northward. But these headwaters of the Coosa River mainly consist of a long, narrowing river channel. Many feeder creeks in the lake’s upper regions consist of flats and are now all but dried up until the lake returns to full pool in April. There are big bass here but they tend to spread out and can be hard to decipher with cold, running water and oftentimes stained to muddy conditions. The lower Weiss Lake offers a lot of bass holding cover-even during draw down. Rip-rap (man-made rocks) line the causeways, bridges and both lower lake dams. An excellent place for schools of big bass to gather especially during unseasonable warming trends. These rocks hold heat. Bass, baitfish and crayfish scour these irregular features in search of food and become much more active after the water warms a few degrees. Water temperatures that rise to the mid to upper 50′s can induce otherwise sluggish fish to feed. Crankbaits can be the ticket when you are in control of the speed of the lure. 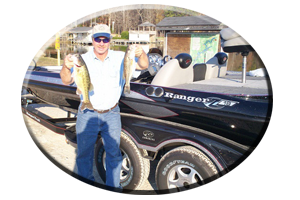 Unlike burning these bottom bumpers along river channels during summer fishing forays when bass go deep, you concentrate on a stop-and-go retrieve with every cast and generally catch suspended bass other lures fail to entice. Combining a Jig Combo or Carolina-rigged offering with these crankbaits will pick up the less anxious feeders on a second or even third pass in an active-bite area and usually the bigger bass in the group. Dropping heavy spinnerbaits along these rocks is a big bass tactic that requires a lot of patience and concentration. 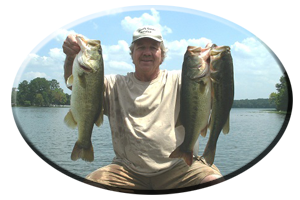 One-half to three-quarter ounce model spinnerbaits with either a willow leaf blade or single Colorado blade are suggested, fishing in depths of 5-20 feet. Vertical jigging spoons is also a one-of-a-kind presentation that often gets bites on very slow days when other lures won’t. Following a week or two warming trend, these shallow water bass will hit topwaters, especially prior to or during the next approaching rainy front. Watch your depth finder for irregular underwater features and be careful during low pool when navigating Weiss Lake. 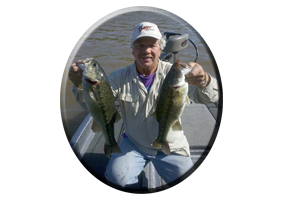 * Or you can call always call on Reeds Guide Service (205) 663-1504 for fishing Weiss lake or any Alabama lake, year round!